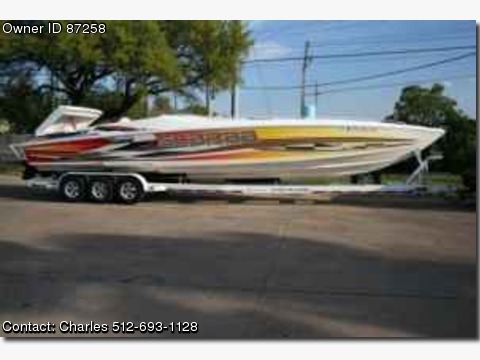 2002 Wellcraft Scarb 38' AVS powerboat for sale. Blown, twin 575 SCI motors producing 650 HP each. Very fast, GPS at 93 mph. Custom stereo & speakers, cabin with large bed, wrap-around couch, head, refrigerator, sink and air conditioning This boat has been in fresh water only. Custom Myco triple axle trailer.